The search efforts included approximately 20 boats and three helicopters from US Coast Guard, Chicago Fire, Chicago Police and Chicago Yacht Club covering nearly 47 square miles. 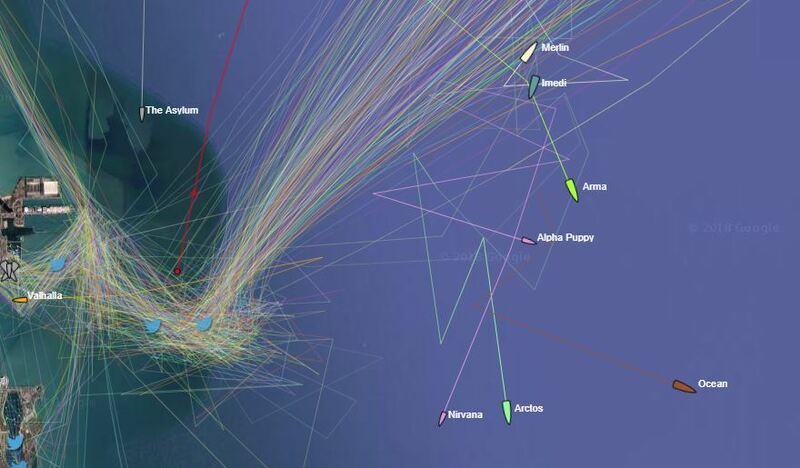 All competitors in the vicinity immediately suspended their own racing efforts to assist in the search. The man overboard occurred approximately five miles east of Navy Pier, 40 minutes after Imedi began the Race to Mackinac. 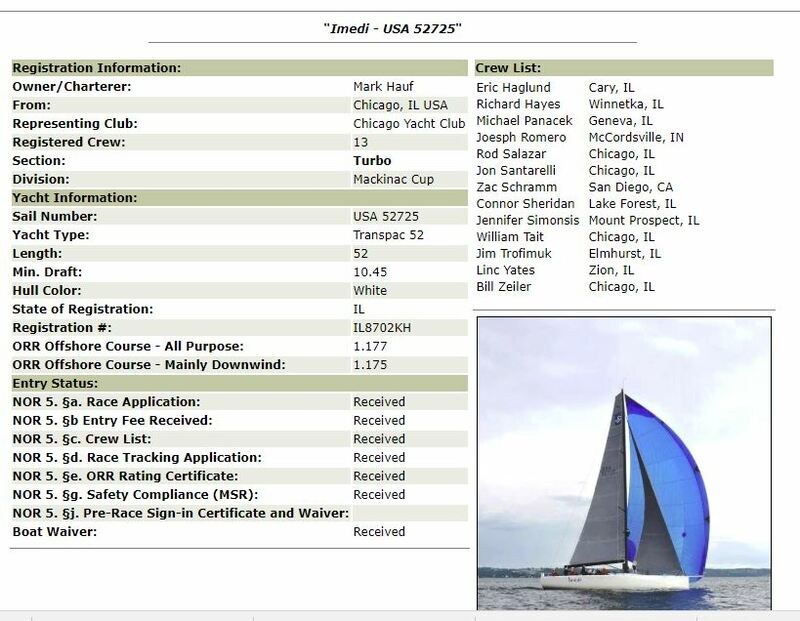 Santarelli had more than a decade of offshore racing experience, and was a core member of the Imedi Racing team as well as the greater Chicago sailing community. Our thoughts and prayers are with his family and teammates. The sailor fell overboard off his TP 52 about 100 yards directly behind Merlin. 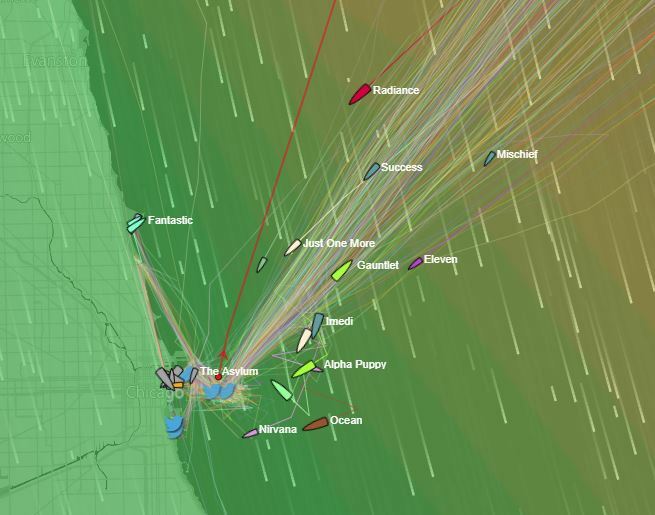 We were about 30 minutes into the race with winds about 19-23 MPH and a very heavy chop and some pretty large rouge waves. When we realized his boat was taking bizarre maneuvers and received a Man Overboard Notice, we spun around and spent the next 4 hours looking for him until nightfall was upon us. We retired from the race—-just too emotional after we thought we had found him twice and physically spent looking for him. Our thoughts and prayers go out to his family and his fellow crew mates. 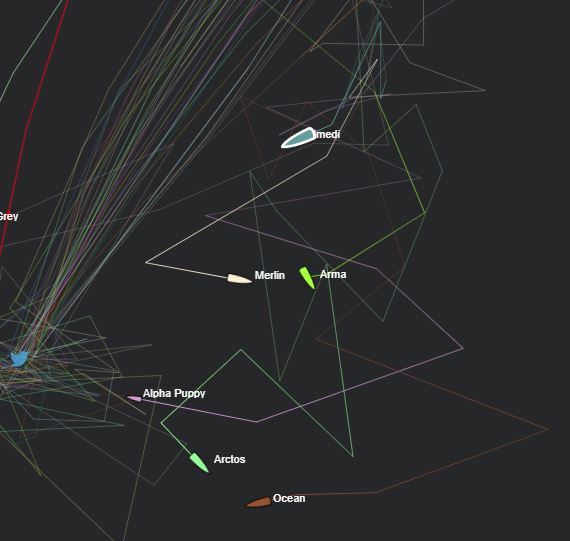 Offshore Yacht Racing is so exciting and fun. It is also inherently dangerous and safety cannot be overemphasized. The Mackinac Race leadership does a fantastic job requiring all kinds of safety checks and significantly supports the Saftey at Sea training which has had a major impact on how we approach safety on Merlin. Today’s surreal incident drives home the need for all of us to make safety first while we enjoy our sport. I and the Merlin crew were just too sad and devastated to race. Our navigator had recently sailed with him for five days. He was a well known and liked Chicago sailor. At the time of the alert, the sailboat’s location was approximately five nautical miles from the CYCRTM starting line, just off the Chicago Harbor breakwall. We are actively monitoring the situation. 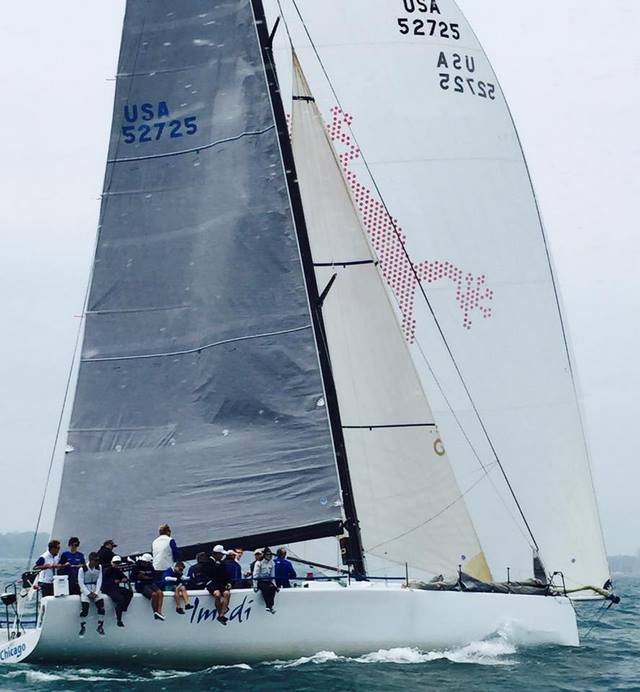 Please tune in to cycracetomackinac.com and CYCRTM social media channels for future updates as they are available. Around 2:30 p.m., authorities learned that the 35-year-old man had fallen into the turbulent water, said Petty Officer Brian McCrum of the U.S. Coast Guard. The missing man had been wearing a self-inflating life vest, McCrum said, though it was believed the vest did not inflate. A multi-agency search including Coast Guard and Chicago police and fire crews was ongoing more than two hours after the initial call came in, McCrum said. The Chicago Yacht Club, in a Saturday statement, said the Coast Guard informed it that a man had fallen from one of the boats competing in the race around 3 p.m.
“USCG, Chicago Police Department, and Chicago Fire Department have deployed helicopters and other assets to assist in the search,” the statement read. “Several nearby competitors suspended racing to also assist. Divers and rescue boats are searching between Navy Pier and 31st Street, Chicago Fire Department Cmdr. Frank Velez said. At a late afternoon press availability at Navy Pier where command staff was set up, CFD Deputy District Chief Ron Dornecker said the sun was setting soon, which would make the search more difficult. Dornecker said they “immediately dispatched’’ a water rescue after getting the call of a person overboard. “We had a helicopter in the air … we had our fast boat and our big boat,’’ he said. “Right now we are actively searching,’’ and “a number’’ of civilian boats are assisting, the chief said about 5 p.m. The conditions are “tough,’’ Dornecker said, adding winds are gusting north about 15 mph and waves are cresting about 6 feet. The water temperature is about 70 degrees, which Dornecker said was “good “ or “better’’ for the man’s chance of survival. Dornecker did not know what led up to the incident or whether the man was wearing a life preserver.